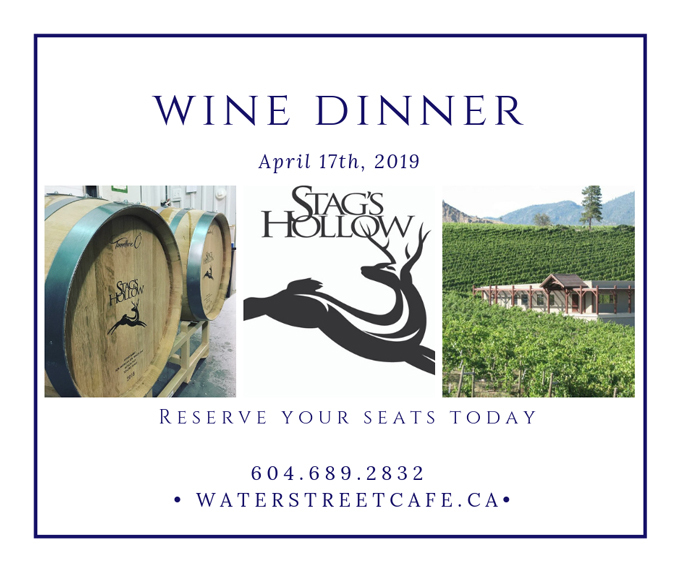 The Water Street Cafe is excited to work with Stag’s Hollow Winery from Okanagan Falls, BC for the next Wine Maker Dinners Series at the Cafe. 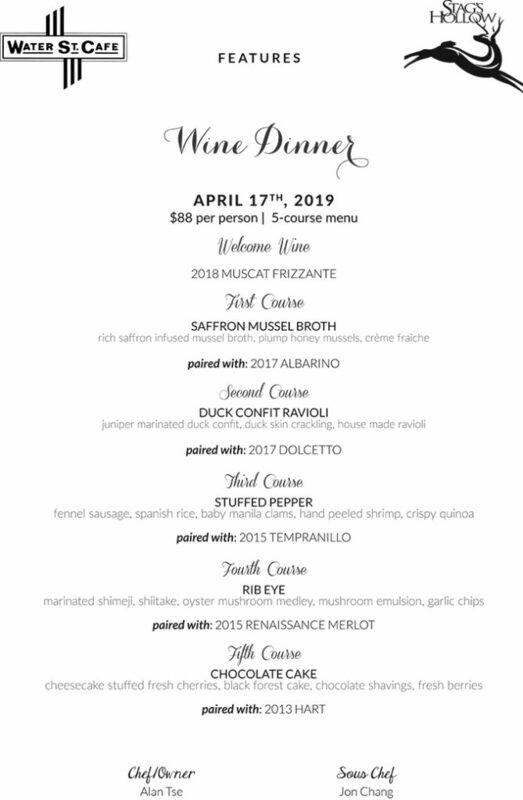 Chef Alan and his team have worked with the owners and winemakers at Stag’s Hollow Winery to bring guests a very special night of culinary expression paired with the best of the best from BC wine. The team at Stag’s Hollow has researched and sought out grapes, both new and old, suited to the Okangan’s soils and microclimate. These include Tempranillo and Albarino from Spain, and Dolcetto and Teroldego from Italy. These unique varietals offer a new experience for the Okanagan Wine lover. Although these grapes come from all over the world, wines produced by Stag’s Hollow from these grapes are identifiable, as being from nowhere else in the world but from the Okanagan Valley. Please call the Water Street Cafe at 604-689-2832 directly to reserve your seat today. Full details here.